Carriageworks today announced a program of contemporary music, immersive visual experiences and a global design forum that will animate the multi-arts precinct for Vivid Sydney 2018. Grammy award-winning artist St Vincent is confirmed to headline the program alongside design forum Semi Permanent, music video festival CLIPPED and the return of Fuzzy’s legendary Curve Ball. This is the fifth year Carriageworks has presented a program for Vivid Sydney, the world’s largest festival of light, music and ideas celebrating its 10th Anniversary this year. Headlining the Vivid line-up at Carriageworks is one of the most compelling artists of a generation, St. Vincent aka Annie Clark. St. Vincent has released five albums to worldwide critical acclaim, including 2014’s Best Alternative Album Grammy winning St. Vincent and, most recently, last year’s Masseduction. As with its predecessors, Masseduction has earned an ecstatic reception from critics and fans alike. Cracking the Australian top 20, Masseduction was named the #1 album of 2017 by the likes of The New York Times and the Guardian, who noted “Annie Clark makes a rock-star power play by embracing thrilling glam traditions while producing something strange, new and unequivocally moving.” St. Vincent has also collaborated with the likes of David Byrne, made her debut at the Oscars playing guitar for Sufjan Stevens; and made her directorial debut with a short horror film The Birthday Party. Across three days (24-26 May), Semi Permanent will inspire and enable creative thinkers by bringing together internationally renowned leaders to share their work and insights. The 2018 program includes Scott Dadich (former WIRED Editor-in-Chief and Executive Producer of Netflix series Abstract: The Art of Design), Alex Schleifer (Head of Design at Airbnb), Australian motion designer Joyce Ho, Paula Scher (Pentagram), Ajaz Ahmed (AKQA), and Nike sneaker designer Tinker Hatfield. The global creative and design thinking platform will be hosted by Sydney letterist and graphic designer Gemma O’Brien. CLIPPED Music Video Festival returns for Vivid Sydney 2018 on Saturday 2 June at Carriageworks. Clipped will include a curated interactive music video exhibition, screenings, premieres and industry talks with guest speakers Tyson Koh (Rage ABC), Lisa Bishop (Music SA) and Greg Carey (Grow Yourself Up). High calibre work from around the world will be showcased in a prestigious awards competition, with particular focus on talented Australian and New Zealand filmmakers. Curve Ball returns to Carriageworks for the third time on Saturday 16 June with another immersive musical and visual experience featuring Alison Wonderland, Vera Blue, Poloshirt, Crooked Colours and Haiku Hands and many more. Curated by Fuzzy, the legendary team responsible for Field Day, Harbourlife and Listen Out, Curve Ball is a unique experience uniting great music with stunning visuals, set against the spectacular backdrop of Carriageworks. 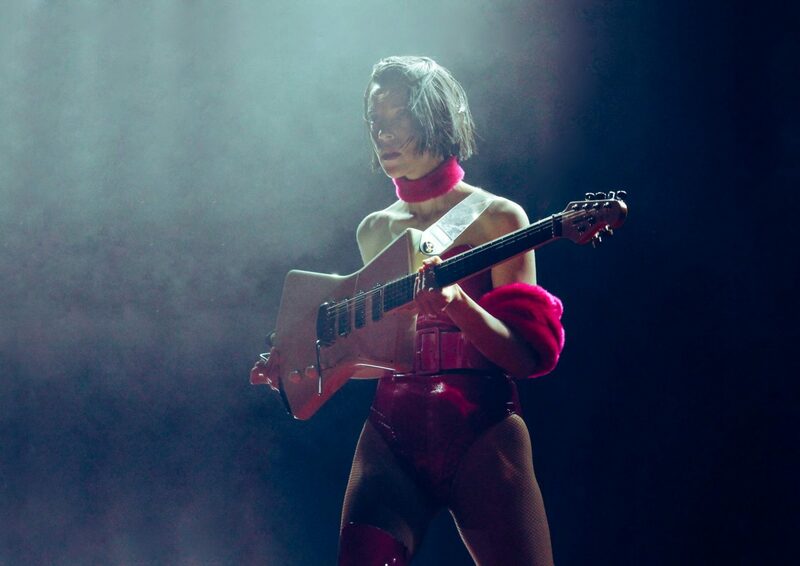 St. Vincent performs a one night only Sydney exclusive at Carriageworks on Sunday 17 June.